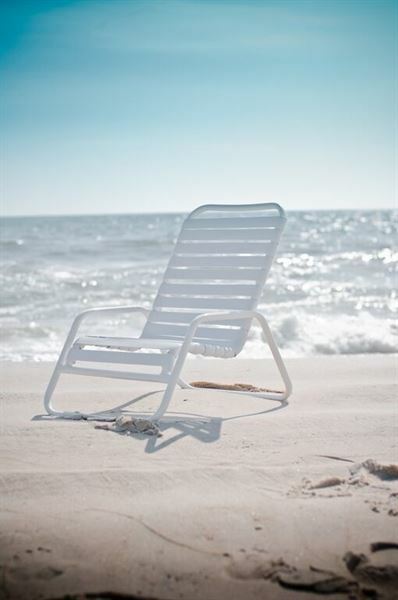 This Quick Ship Sand Chair is in stock and ready to be rushed to your commercial pool deck or patio. Features 1" powder coated aluminum frame with 2" wide double wrapped vinyl straps. 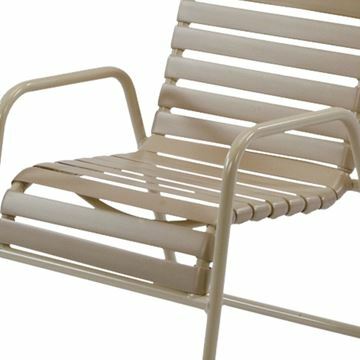 The 1/4" durable powder coated aluminum glides prevent the chair from scratching pool deck surfaces. 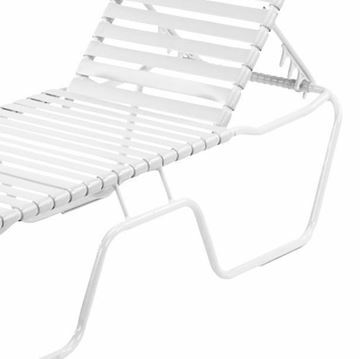 Lower to the ground than a traditional pool chair for relaxation in the sun. Stacks for easy storage.